Influenza is a viral infection that affects the upper respiratory tract. Influenza affects all age groups and both sexes but is more common in children. Influenza virus spreads through droplets which scatter in the air when an infected person coughs or sneezes. Vaccination against influenza protects an individual from flu and should be taken annually before winter. Influenza, also termed as flu, is a viral infection. This infection usually affects the nose, throats, bronchi and lungs. In comparison to cold, these flus are worse and last longer. The common symptoms of influenza are sudden onset of high fever, headache, aching muscles and malaise (feeling of uneasiness or discomfort). Generally, most flu outbreaks happen in late fall and winter. As the symptoms of flu starts after 1-4 days, an infected person may pass the flu to someone even beforerealizing it. Most people with influenza, get better without problems. However, in some cases the flu can lead to a bacterial infection. Ear infection, sinus infection or bronchitis are the common bacterial infection resulted from the flu. The virus is easily transmitted from person to person through the contact with infected droplets from coughing or saliva. It tends to spread rapidly in seasonal epidemics. Who are at high risk of Influenza? Also, people with impaired immune system are at a high risk of influenza as it is hard for them to fight infection. In severe cases, antiviral medicines are available to reduce the complications. Infected person needs to be administered early, within 48 hours of onset symptoms and should be provided with early medical intervention. To prevent the transmission of flu, people should use a mask to cover their mouth and nose, especially while coughing and wash their hands regularly. 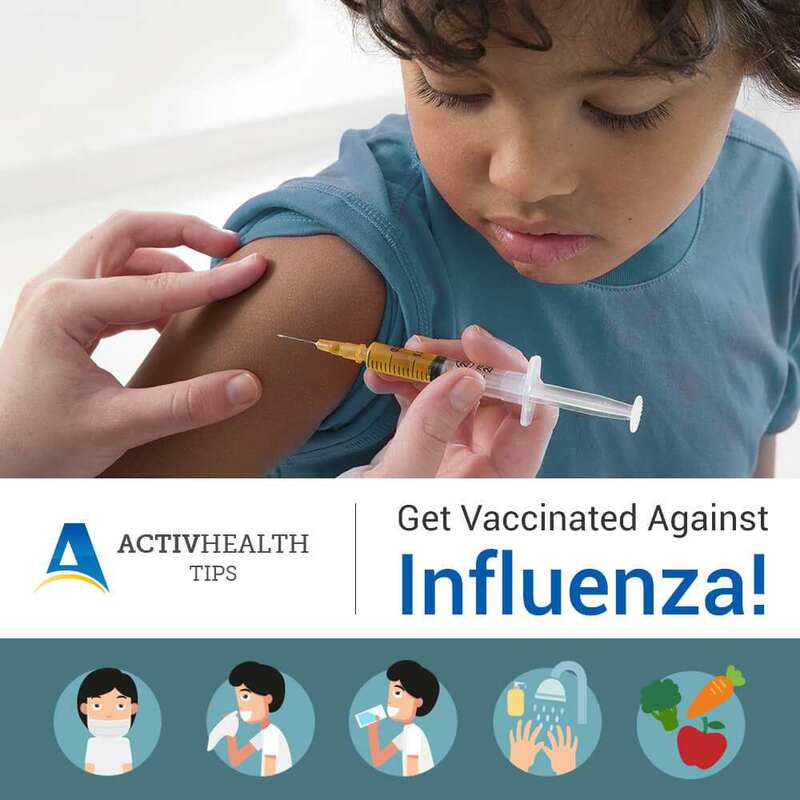 However, the most effective way to prevent influenza is vaccination. For healthy adults, vaccination can provide protection. However, for the elderly, vaccine can be less effective. But it will minimize the complications of the influenza. The peak flu season starts around October and runs through May. Therefore, the best time to get a vaccination is either in September or October. The vaccination takes about 2 weeks to become effective. Therefore, it is advised to get your flu shot or spray as soon as the vaccine is available in your area. What are the kinds of vaccines available? For the 2015-2016 flu season, there are several flu vaccine options available.